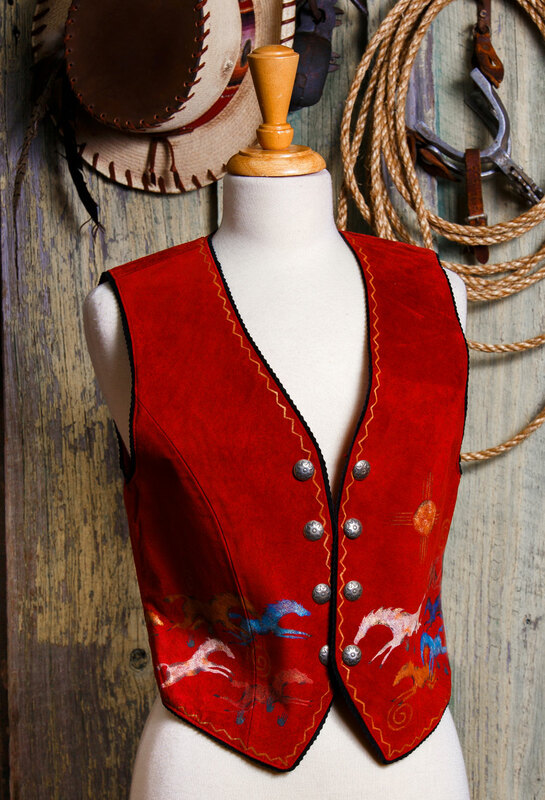 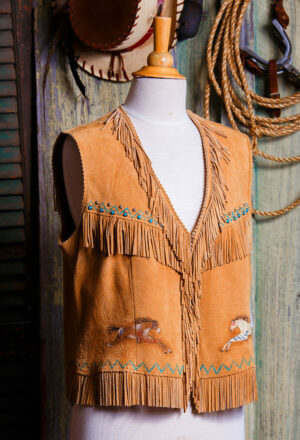 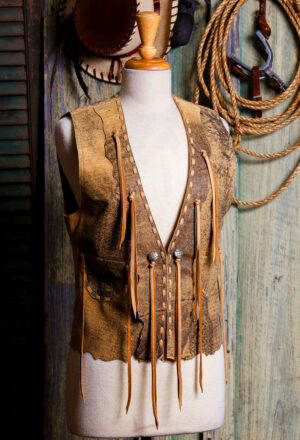 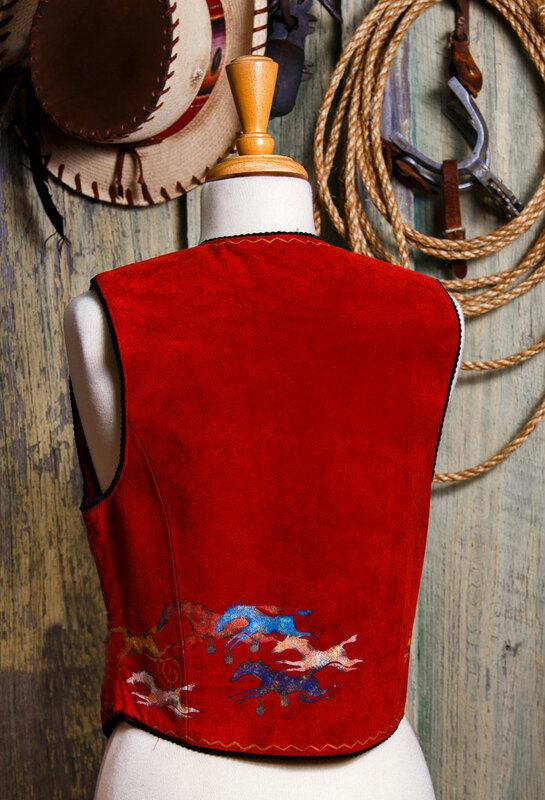 Potomac Vest in boar suede. 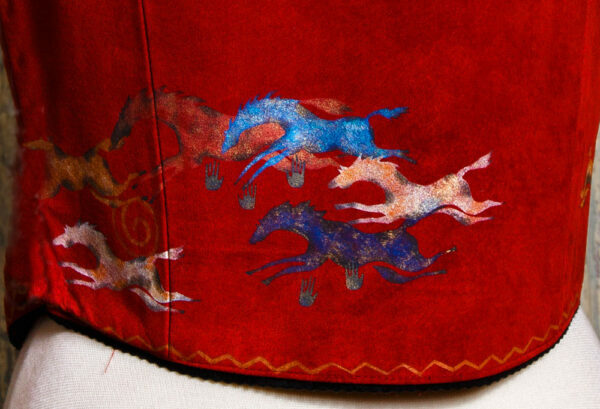 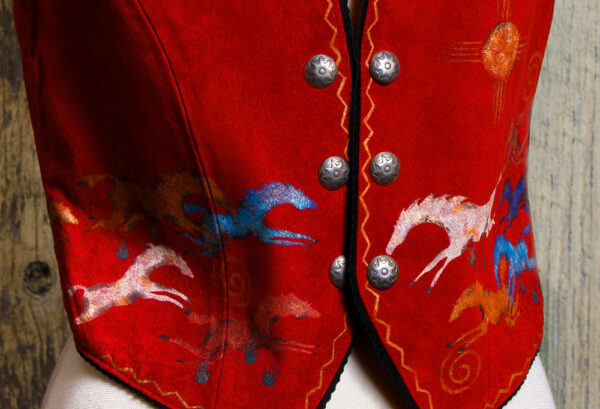 Patricia Wolf’s hand painted Sun Ponies and zig zag painted border front and back. 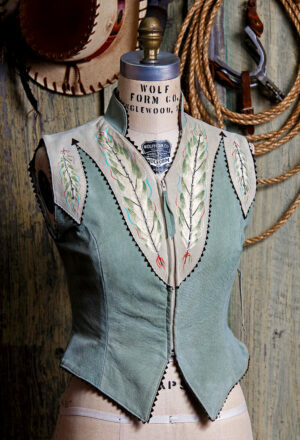 Finished with 8 pewter buttons and zig zag piping. Shown in Red.